Edit: 0.34a is out! You can download it from a link on this page. This list contains everything that's been changed since the previous release. I'll be updating it continuously as work progresses, so stay tuned! To accomodate the growing size of the patch notes, I've updated the format - you can easily see the latest round of updates in the first section. Modified "The Last Hurrah" - player fleet has some new ships (Brawler and Vigilance class), increased difficulty overall (enemy Onslaughts are much better fitted). New set of backgrounds (4 more!) Specified per mission, existing missions updated to use different backgrounds. 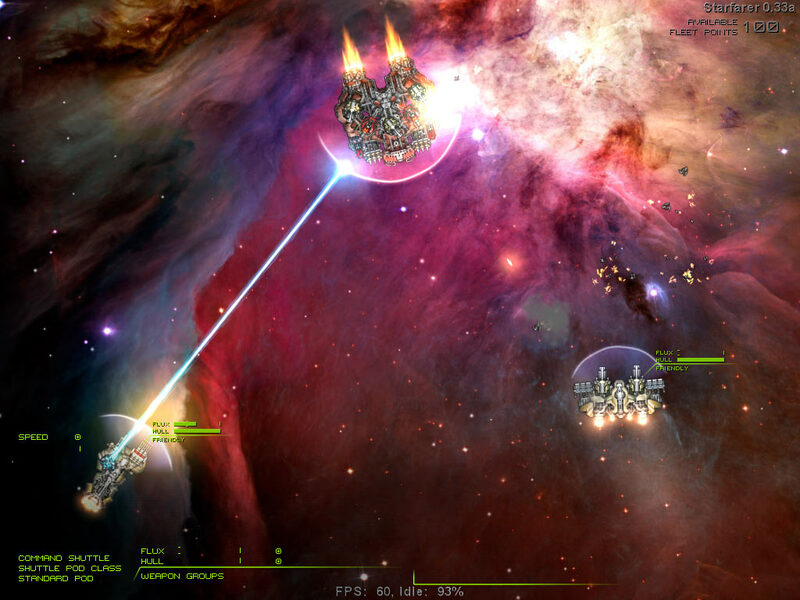 Flux generated due to absorbing beam damage with shields can now be dissipated without bringing shields down. This applies to non-energy beams (such as the Graviton Beam) and does NOT apply to non-beam energy weapons (such as the Pulse Laser). Friendly dumbfire projectiles (such as bombs) can't hit each other anymore. Up til this change, attack runs by several bomber wings were a bit more explosive than intended. Moved saves/screenshots/mods dirs up one level for windows, to the top level of the bundle for Mac, left in same place for Linux. Mods can be packaged up and installed by unzipping in a "mods" directory. More details on that, as well as some sample mods, soon here. Added interface (to the launcher) that allows you to select which mods to enable. Multiple mods can be enabled at the same time. If there are conflicts (say, two mods change the stats of the same ship), the first mod on the list takes precedence. A mod can also add new ships and weapons - not officially supported because file formats are likely to change a bit, but it works. New ships/weapons can be used inside missions defined in the same mod. After exiting the mission, the game goes back to the mission selection screen instead of the main menu. So that you can try again more quickly after suffering a crushing defeat. Changed omni shields to be toggled on/off with the RMB instead of requiring the RMB to be held. In related news, frigates are fun to fly again. Fixed bug where the game would play in fast-forward if video card vsync was forced off. In related news, sales of hillbilly chase music on iTunes plummeted today. Most likely fixed this (hard to describe) bug. Likely Intel driver bug, coded around it. Improved code that detects available display resolutions (previously, would detect none in some cases, leading to a crash on startup). Also added "resolutionOverride"/"forceAspectRatio" settings to config for some odd cases where no valid resolution is reported. Its always nice to get a better view (regarding the zoom changes) of the battlefield. I could swear that omni-directional shields already toggle. I seem to recall right-clicking turning mine off on several occasions with the Apogee. 1. Right-click to toggle on. 2. Hold Ctrl (or some other key) to move them. Otherwise they stay still. Ideally they'd keep moving to where the mouse was when Ctrl is released. Sometimes I want to fire on something, but turn my shield toward a different threat--shooting at a carrier and protecting myself from the bombers coming in from astern, say. omnidirectional shields are shields that can swivel, like the one on the conquest: the apogee actually has a frontal shield, its just a full 360 degrees of coverage. Love this! I'm glad you've decided to try out live patch notes, this really gets the hype going (not that it wasn't already going strong for me). My mistake, then; consider the body of my previous post a request for more options for omnidirectional shield control. I hear you - ideally, you'd have perfect control over both. The question is, do the scenarios in which you actually want to have this control occur often enough to justify making it more cumbersome all around? Having an extra button for this type of shield control... I'm just not sold on that yet. Let's see how this new scheme plays out first - it's already tons better than it was. Also, it seems like you could get by in that scenario by setting the group on autofire for a few seconds while you shield off in a different direction. Autofire is set up to prefer targets that are closest to the current aim, so turning it on just as you stop firing makes it carry on just what you were doing, most of the time. I hear you - ideally, you'd have perfect control over both. The question is, do the scenarios in which you actually want to have this control occur often enough to justify making it more cumbersome all around? Having an extra button for this type of shield control... I'm just not sold on that yet. How about something simpler than my original idea: a shield lock button, which toggles shield movement on and off? Doesn't add any cumbersome-ness; without using it, the shield behavior is exactly as it is now (with the toggle, anyway). I'm growing more and more convinced of the need for this the more I play with my high-intensity-laser broadside Conquest--things I'm hitting with the broadsides are generally a long way off, and in most cases the threats I'm having to deal with are from a different angle. I can also see it coming up with a frigate with omnidirectional shields fighting a bigger ship, a la Sinking the Bis'mar. Missiles tend to come at you from the sides in that mission, simply because they have to chase you, and the same situation might come up elsewhere. Being able to lock shields to face missiles while you make a strafing firing pass with bigger weapons seems like a pretty good motivation for lockable shields, too. What about an auto-targeting option for omni shields? 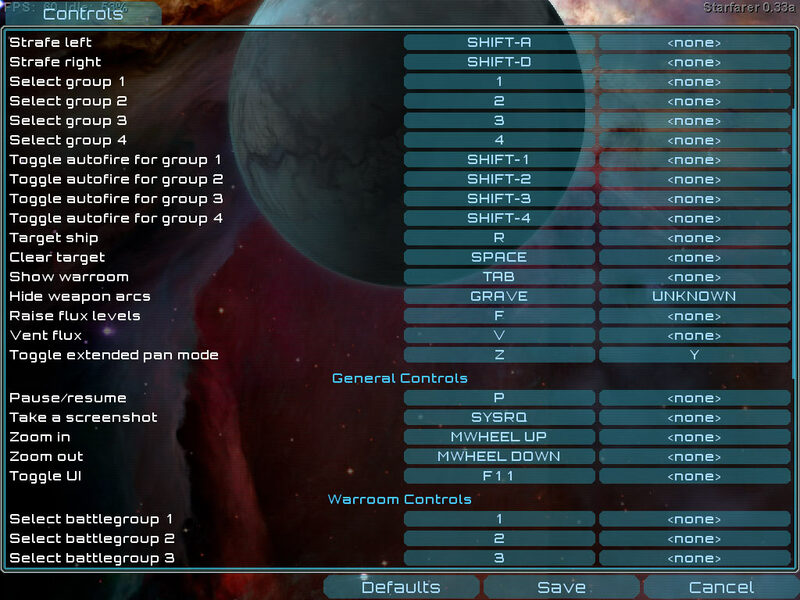 - Better mod support for custom missions and ships. People have already made seven custom ships or so and one custom mission. And then another fan went and rebalanced all the weapons to create greater distinction between Capital ships and smaller ships. - RPG-like characters/profiles, or something, which affect your ship/fleet performance in various ways. I'm not really sure on the timeline for any of this, and details of everything are certainly open to change. I just know what I'm doing artwork for and what the dev team is discussing internally. What's caught Alex by surprise in particular is the strong demand for modding tools, and how much enthusiasm people have for modding. Further, I think the demand for RPG aspects is strong enough that he feels the need to push that up sooner. Yeah, that was me. Promising things. Sorry Alex! I'm also going to start posting more teasers of upcoming stuff I'm working on to the blog in any effort drive everyone crazy. It'll be fun! Hey David, what do you mean by politics? How deep are the plans for the faction / relation / etc system? Any option to create your own empire and mingle with the others? I don't think we're ready to answer detailed questions about that. Sorry! I can, however, say that you will have relationships with various factions in the game - alliances, enmities, etc. About shields and a shield lock button: I can actually see that as a ship system, that'd both lock it in place and improve its efficiency. That just might work nicely.